Today’s Lively Show is a HUGE honor for me to share with you. When I think of “dream guests” I would like to have on the show, author and spiritual teacher, Byron Katie, is one of the guests at the tippy top of that list. 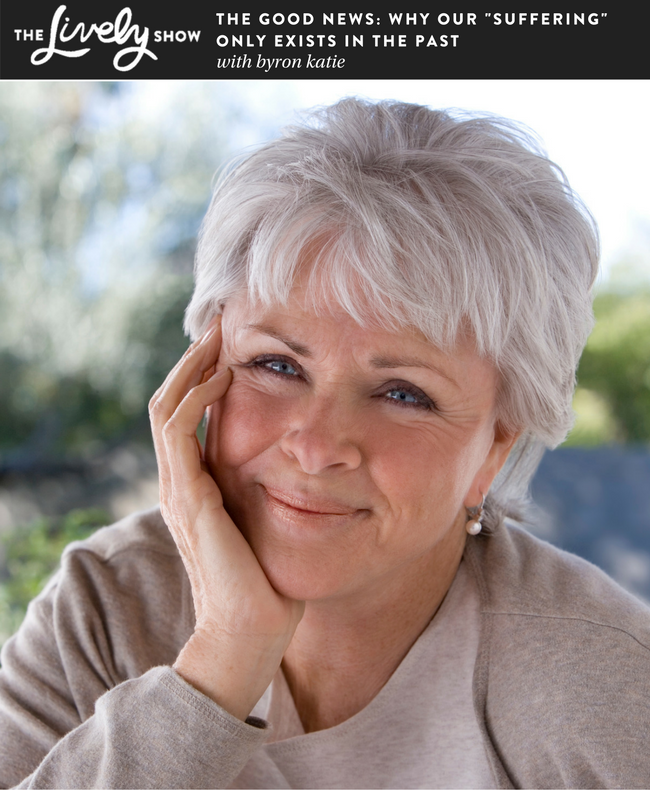 Byron Katie is an author of several books including my favorite, Loving What Is, and has created a simple, effective four question inquiry to help dissolve any ego suffering or resistance on any topic in life, which she calls The Work. I’ve personally used The Work myself over the past five or so years on my own suffering and issues that my coaching clients have faced. In today’s episode, Byron Katie will be sharing how you can use this process in your own life and so much more. This episode is perfect for anyone who wants to learn more about presence, consciousness, and how to release psychological suffering on any subject. Byron tells us how depression and self-loathing brought her to where she is today as a spiritual guide and teacher. She believes that the greatest teacher we have in our lives is our own wisdom. Byron talks about her four question inquiry and how that leads to freedom from suffering in life. She shows us that by understanding ourselves, we can understand others. Byron thinks that presence is pleasure, p since there is no suffering involved. She believes we are the cause of all our suffering and that physical pain is either remembered or anticipated. Byron mentions that if you understand the past you won’t have to worry about the future because it is understood. She discusses the concept of thinking about the future and how acting on it and having the mind and body can move as one to your intention. Byron tells us the importance of trusting oneself and why it is so important. She tells us how our identity can be lost when we question our minds.